Posted on January 4, 2018 by thelostlighthouse	in Comics, Literature and tagged art, Batman, comic book review, comic books, DC comics, Duke Thomas, Gotham City, Literature, superhero comics, superheroes, The Signal, TLL. As with all things Batman with Scott Snyder’s name on it I opened this up with high hopes. Duke is an interesting character as well – he’s been written as a kid being shaped into ‘something different’ rather than a standard Robin or Bat-family side kick and this comic begins to explore what that will ultimately mean for Duke. 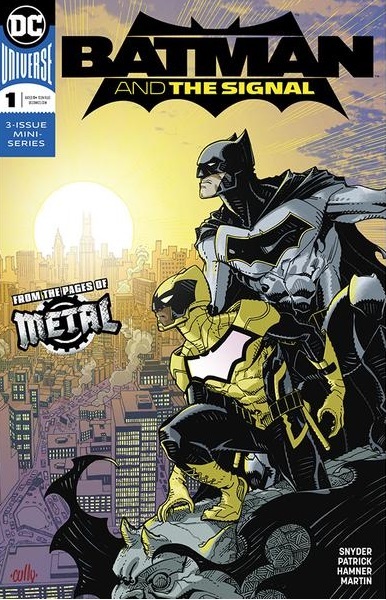 He’s named himself as well now – ‘Signal’, after the Signal knights who were the first to venture out into the day during medieval times and a key point in the early plot is how he finds his place in the Bat-family proper. Even if he is something different he still has the Bat emblem on his chest. The plot focuses around Duke beginning the journey of learning who he will end up being. This includes a new suit, an introduction to the rest of the family and his very own secret lair (as a side note, surely in both Marvel and DC there must be some secret, super highly capable super hero architects, engineers, builders, electricians and other contractors who build these damn things for them… and must have copies of all of the designs, know the locations etc…). Duke’s journey to self-discovery is a little on the nose, as he has developed meta human powers and is trying to learn where exactly they came from. As for the art, Hamner’s work presents us with a detailed world, with over exaggerated positions and expressions during dramatic moments and combat. 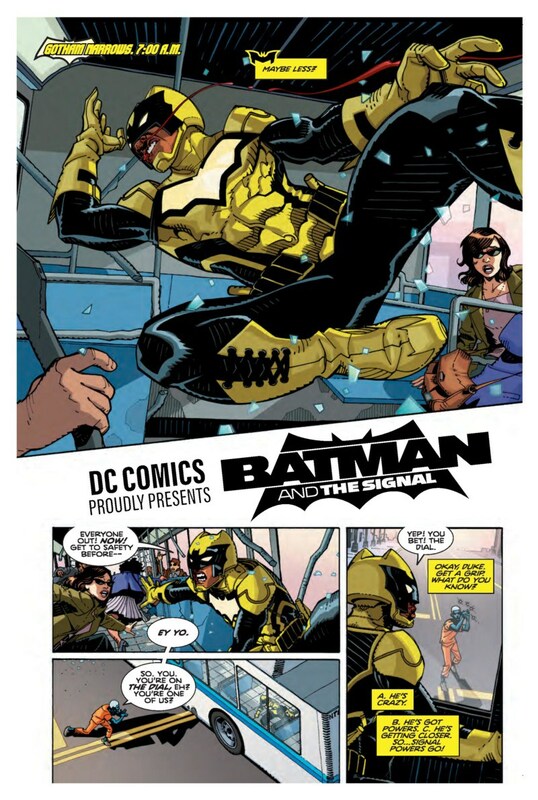 Martin’s colours add to the aesthetic, with the yellow of Duke’s costume jumping out of the page with how vibrant it is. Duke appears to have picked one of the least stealthy colours for his suit, but we’ll have to see how he makes it work in the issues to come. Bennett has done a solid job with the lettering. The issue is a little dialogue heavy at times (not a bad thing, there’s a lot of good stuff in there!) and Bennett works well with the space available to still allow Hamner and Martin’s work to do its thing. Still, as far as I’m concerned the real test is how well the team drew hands? We have a very hand prominent issue, if hands are your thing, this is a good comic to see them in. For the most part they’re used to communicate body language in conversation and during individual scenes. I like what the team have done in this issue and they definitely pass this made up, arbitrary test. 9/10 for hand drawing skills! An interesting start. The team work well with a character who I could see going either way right now – someone special to find their footing as part of the Bat family or someone a little forgettable. This isn’t the fault of the team behind this comic, they did a very good job with it, but I simply did forget about Duke before I saw this issue! I think this could bring him into his own though.